A lot of people will get rid of old furniture when it is no longer needed or may be broken in some way. Old furniture is often made of wood and means it can be a source of materials for some DIY projects. 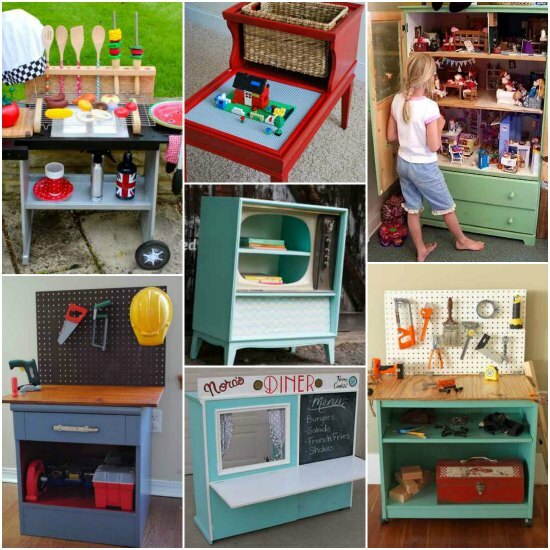 There are many brilliant ways to turn old furniture into toys to use around the home. 1. 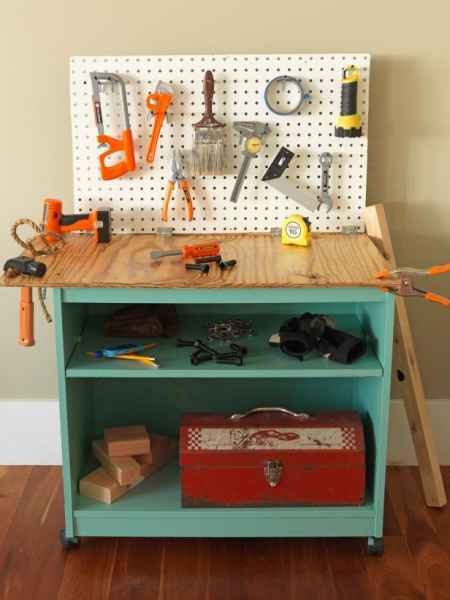 Convert a thrift store nightstand into a kids workbench. 2. 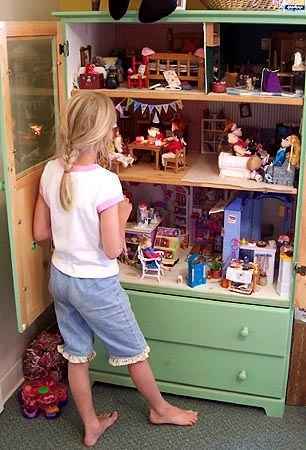 Convert a chest of drawers into a custom dollhouse. 3. 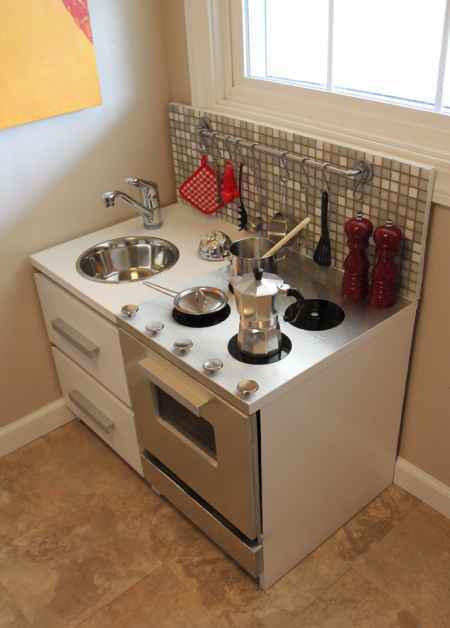 Build a custom play kitchen by using an old entertainment center. 4. 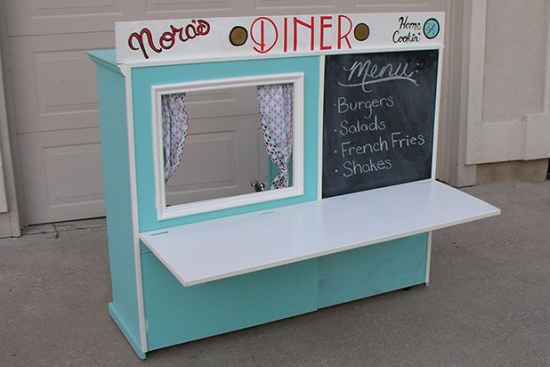 Create a custom kid’s diner from an old cabinet. 5. 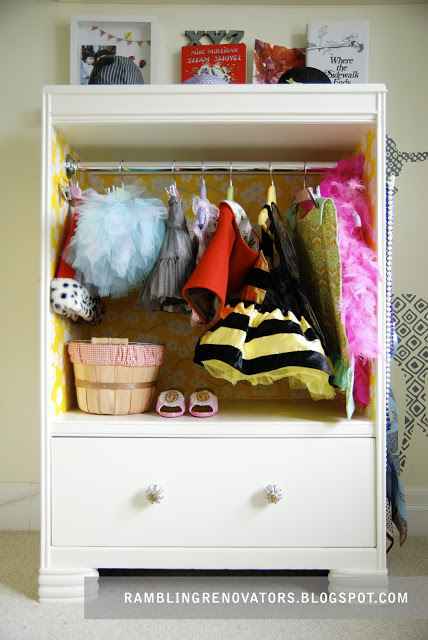 Convert an old dresser or armoire into a costume closet for kids. 6. 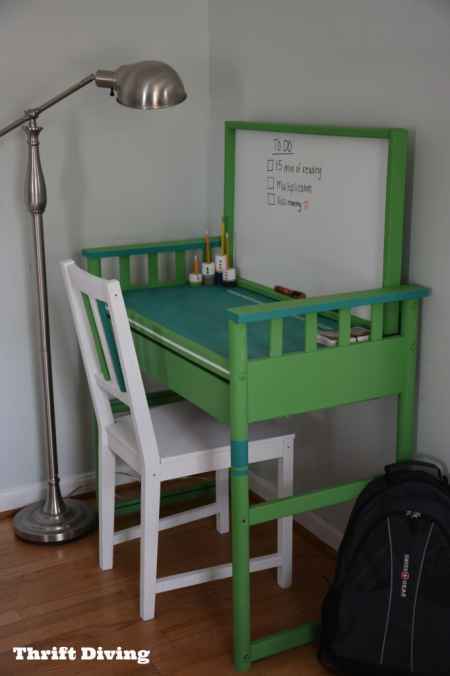 A changing table can easily be converted into a desk or as a stage kids to play with their toys. 7. 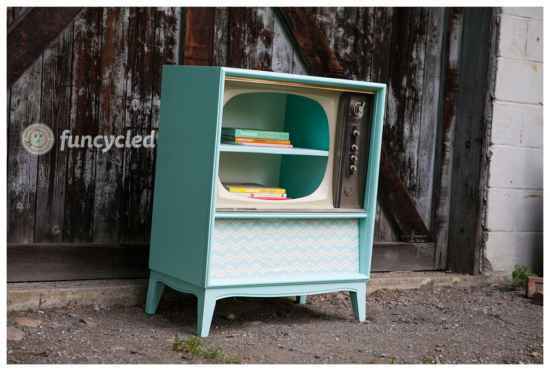 A retro console Tv can be converted into a cabinet or to use as a stage for kids to perform puppet shows. 8. 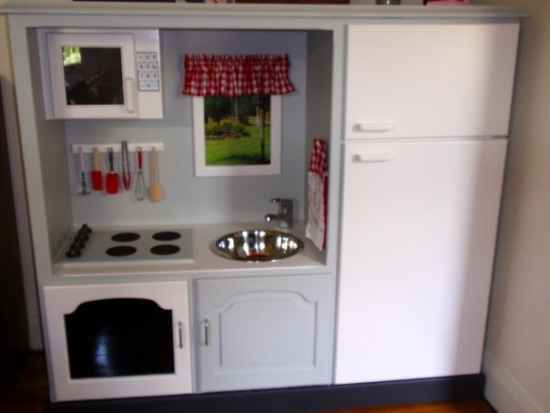 Thrift store rolling carts can be used to make a custom kid’s kitchen. 9. 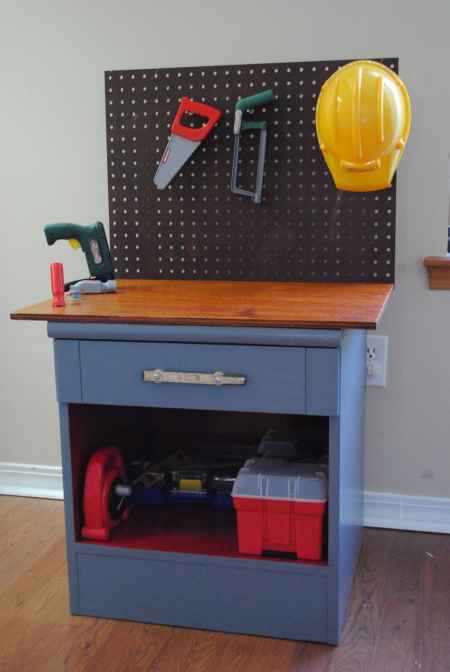 Turn an old computer table or nightstand into a kid’s workbench. 10. 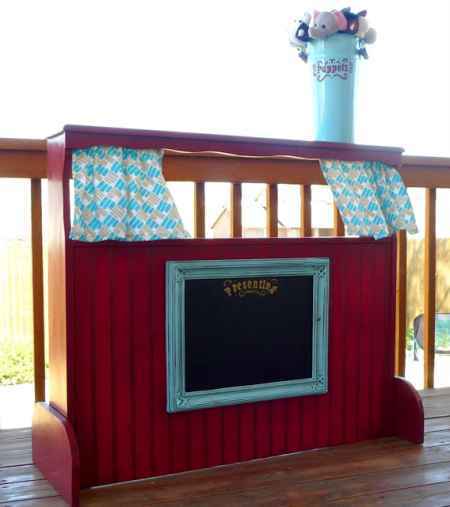 Convert an old hutch or similar piece of furniture into a stage for puppet theater. 11. 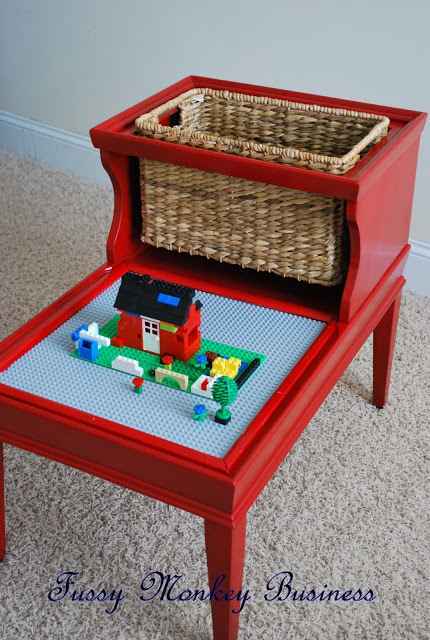 Convert and end table into a kids LEGO table. 12. 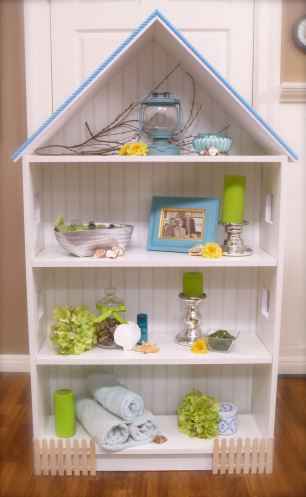 An old bookshelf can be used to make a custom dollhouse. 13. 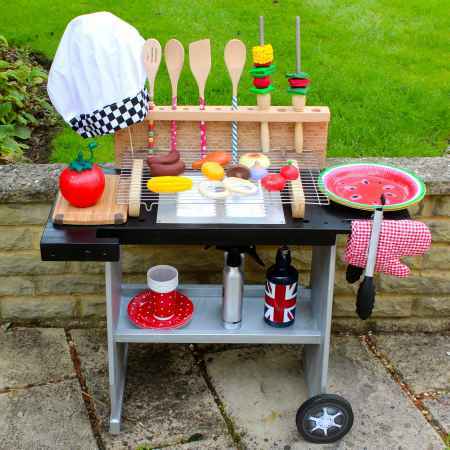 A cheap thrift store table can be used to make a play grill for kids. 14. 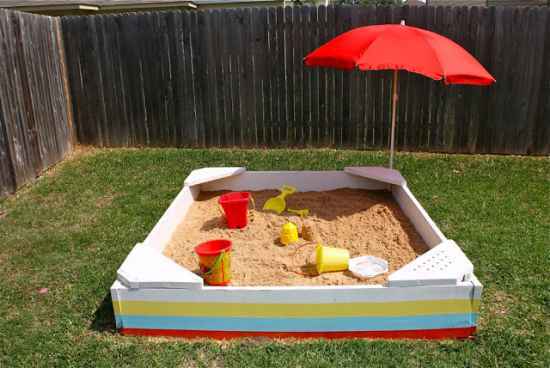 Use the wood from a bunk bed to build a custom sandbox. 15. 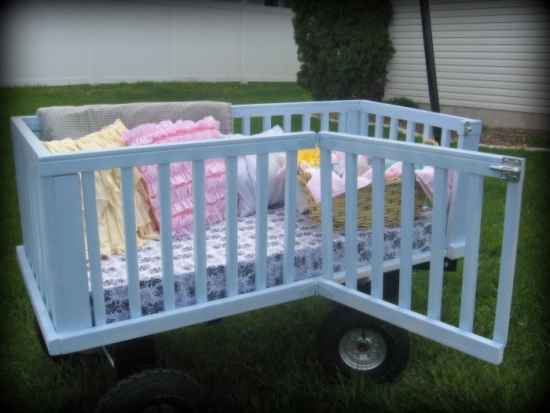 Make a custom wagon from an old crib. 16. 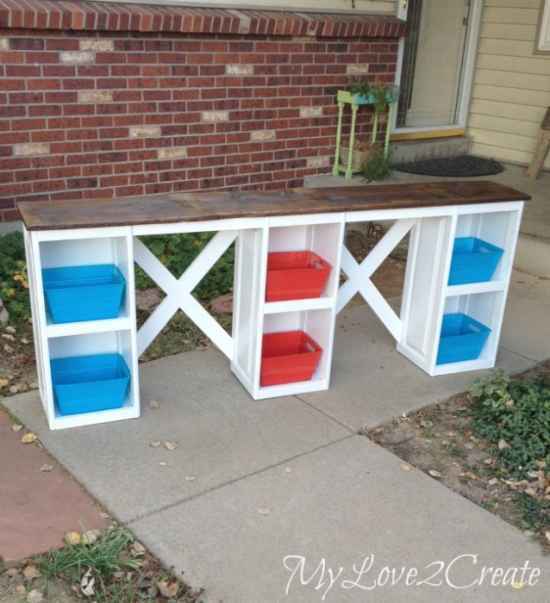 Repurpose an old cabinet or just the doors into a table to use for lots of fun. 17. 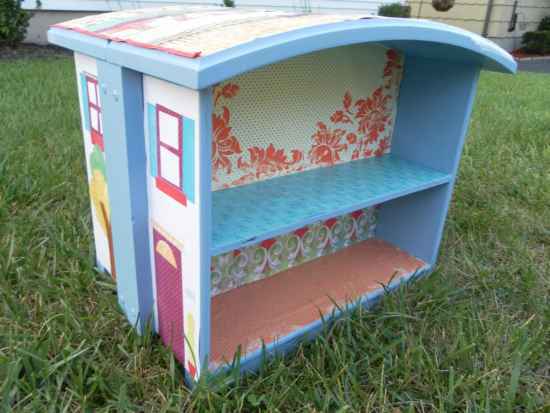 Reuse a couple of nightstand drawers to make a custom dollhouse. 18. 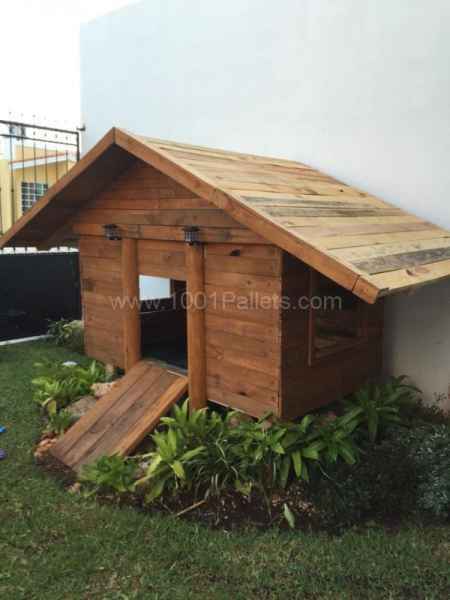 Repurpose your old pallet furniture to make a custom playhouse.